Legal Talk Network producer Laurence Colletti interviews Jonathan Malysiak, executive editor of Ankerwycke Books, and authors David Lat, Ronald Fierstein, and Dina Gold at the 2015 American Bar Association Annual Meeting. Ankerwycke Books is the new consumer trade imprint of ABA publishing, with a broad range of legal books including legal fiction, memoir business biography, true crime narratives, and many others. Jonathan discusses his draw to Ankerwycke and the challenges he has encountered so far. The authors describe their books, passion for the legal topic they wrote about, and why they chose Ankerwycke as a publication source. 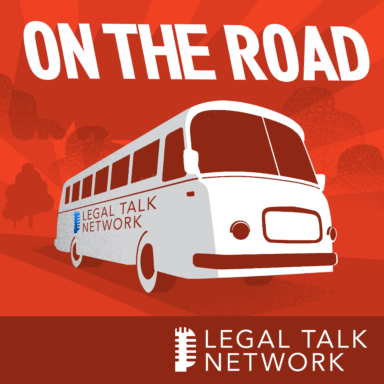 Tune in to hear about three new and different legal books and what’s up next for Ankerwycke. Jonathan Malysiak is the executive editor of Ankerwycke Books, the trade imprint of the American Bar Association. He is also a blogger, author, and has over 17 years of experience as an acquisitions editor. David Lat is the founder and managing editor of Above the Law and author of Supreme Ambitions. The book was the first book published by Ankerwycke in December 2014. Ronald Fierstein is a former lawyer and author of “A Triumph of Genius: Edwin Land, Polaroid, and the Kodak Patent War.” He is an entertainment executive who has spent the past ten years in the music and theater business. Before that, he was on a team of lawyers representing Polaroid in what was one of the most important intellectual property lawsuits in American history. Dina Gold is author of “Stolen Legacy Nazi Theft and the Quest for Justice at Krausenstrasse 17/18, Berlin.” Dina is a former BBC journalist who came to the states 7 years ago. She wrote this book as a part of her own personal history.